The TCLab is a hands-on application of machine learning and advanced temperature control with two heaters and two temperature sensors. The labs reinforce principles of model development, estimation, and advanced control methods. This is the sixth exercise and it involves linear model predictive control with an empirical 2nd order model. The predictions were previously aligned to the measured values through an estimator. 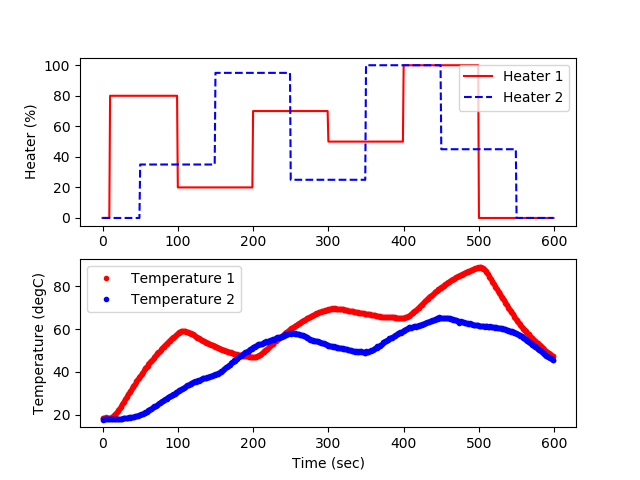 This model predictive controller uses those parameters and a linear model of the TCLab input to output response to control temperatures to a set point. 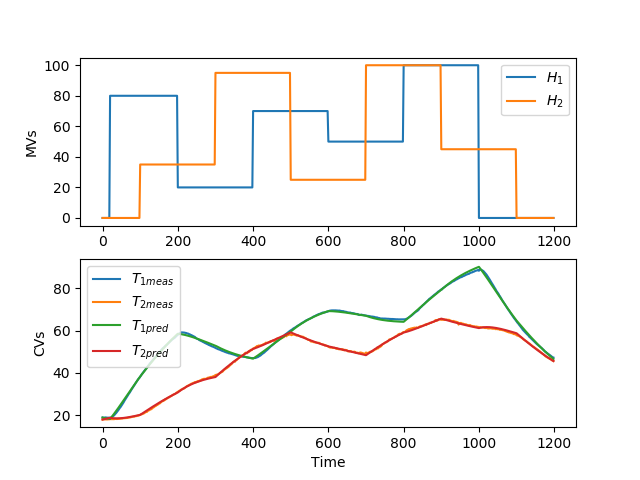 See information on Model Predictive Control (MPC) and MPC Examples in Excel, MATLAB, Simulink, and Python. Note: Switch to make_mp4 = True to make an MP4 movie animation. This requires imageio and ffmpeg (install available through Python). It creates a folder named figures in your run directory. You can delete this folder after the run is complete. # Make an MP4 animation? 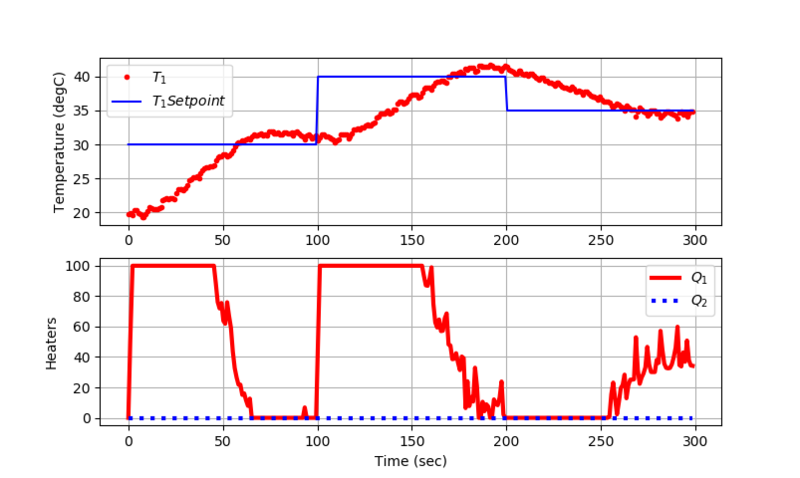 See MIMO Model Identification for additional help on creating and step testing an Auto-regressive exogenous (ARX) model.